There are two main types of FERS Early Retirement. One is MRA+10 Retirement which is available to anyone who is eligible. The other type of Early FERS Retirement is when your agency is going through a RIF – and they offer employees a chance to take an Early Out. On this page, we’ll be talking about Early Outs. But click here if you want to learn more about MRA+10 FERS Early Retirement. Even though an Early Out is considered a type of Voluntary Early FERS Retirement – you can only take an Early Out when it’s offered by your agency. You may be offered a FERS Early Out Retirement when there is a Reduction in Force (RIF) or a major re-organization in your agency. You must also meet the requirements in order to take an Early Out… but it still must be offered by your agency before you can accept it. With this type of FERS Early Retirement, there is no reduction in your pension like there is with MRA+10 Early FERS Retirement. There are a few more requirements, such as making sure you separate from service before the end of the early out period. Also, you must have been on the rolls of the agency offering the early out at least 30 days before the agency made the request to OPM to offer Early Outs. If you’re considering an Early FERS Retirement, or just want to know more about Early Outs – check out OPM’s CSRS FERS Handbook, Chapter 43, Early Voluntary Retirement. Sometimes FERS Early Outs come with extra incentives or buyouts. So you may be offered a lump sum (ex: $25,000) to take an Early Out. But that is not always the case. Sometimes the only incentive may be the offer of an Early Out itself. So be sure you understand the specific offer from your agency. People get very excited about these buyouts – and they can be a nice bonus. However, even at $25,000 – buyouts are almost never enough to make or break a retirement. Early Outs can be fantastic if you are already financially ready for retirement. Or they can also be great if you were getting ready to make a career change anyways. But if you’re not ready to retire – proceed with caution. Even though it may be hard to ‘give up’ that $25,000 incentive… you may be doing yourself more harm than good if you retire before you can afford to. Because if you’re not ready to retire – and you take an Early Out anyways – you’ll need to get another job. And how long might it take you to get another job? It may be difficult to line up another job before you have to separate for your Early Out. So you might be out of work for a while before you find another job that you enjoy. And that could take a serious toll on your retirement savings. So if you’re not ready to retire – an Early Out even with an incentive could put you behind the retirement curve. But if you were looking to leave federal service anyways – an Early Out might be just the right incentive to leave now. Let’s say you have 20 years of service, and you’re 51. For easy numbers, let’s say your High-3 is currently $100,000. Your agency is undergoing a major reorganization and your agency offers Early Outs. Because you have 20 years of service, and you are also over age 50 – you can take the Early Out if you want. If you do – your pension would be calculated as.. 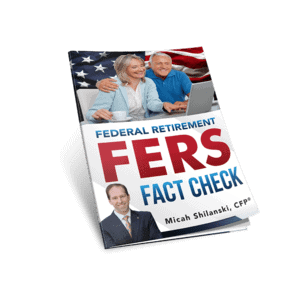 When you retire with an Early Out – you can still get the FERS Supplement. But your FERS Supplement won’t start until you reach your Minimum Retirement Age (MRA). So depending on what age you take your FERS Early Retirement – you may have many years before the Supplement starts. Considering a FERS Early Out Retirement? If your agency is offering Early FERS Retirement, make sure you look at how it would impact your goals before you get too excited about the buyout. Before you make any decisions – take time to write out your options. You’ll make a better decision after you’ve written out your options and their pros and cons. Everyone’s personal situation is unique. And there are lots of variables to deciding whether or not to take a FERS Early Retirement. It might be helpful to discuss your options with your financial planner. If you’re thinking about taking an Early Out – you’ll want to sign up for our monthly E-Zine Newsletter. Each month we send out a new and original article on important concepts that will help you plan your federal retirement.